Including return Qantas flights, minimum 4-star accommodation, delicious breakfast daily, private coach transportation, English speaking tour guides, extensive sightseeing and more. per person twin share |	Typically $4,180! 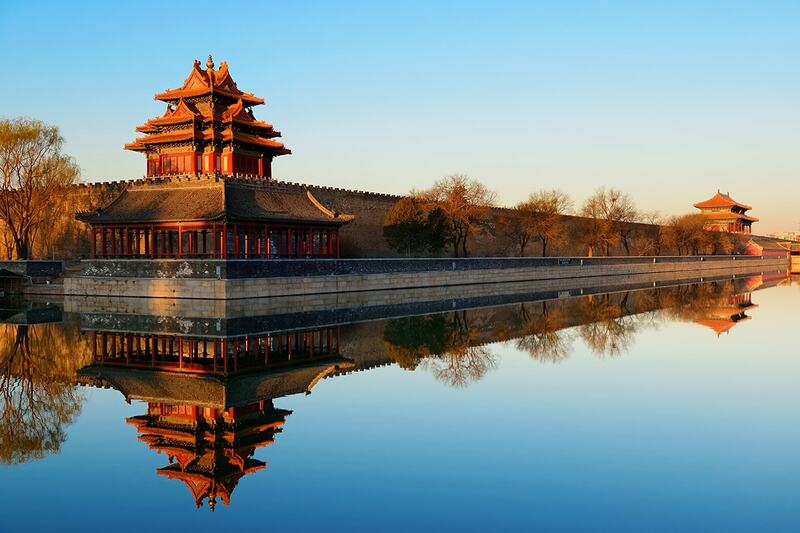 Heritage, history and highlights: all are on the itinerary with a memory-making 11 day China Discovery tour. 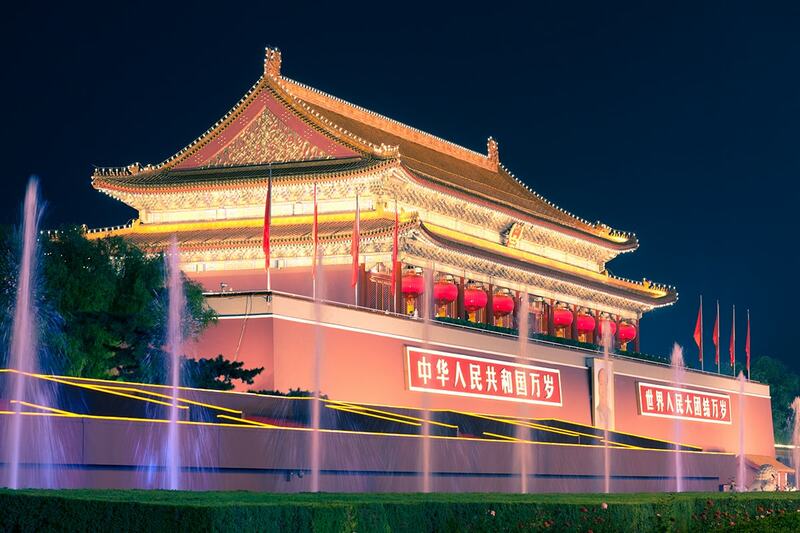 Take in the mystery of the Forbidden City and gaze around in wonder at the sheer scale and size of Tiananmen Square in Beijing. Clamber up a section of the Great Wall of China and learn about why – and how – this symbol of China came to be. Make stop offs at jade exhibitions and working silk-spinning mills and discover the history of traditional Chinese medicine. 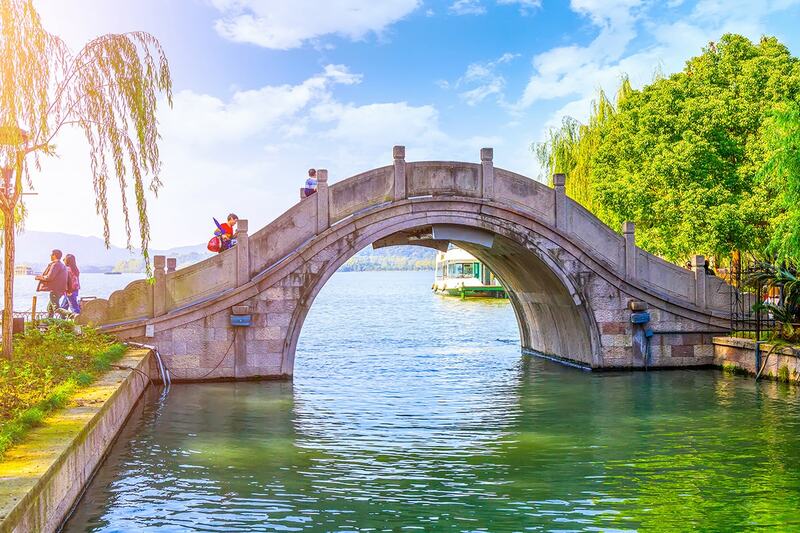 Have your head turned at the fast pace of Shanghai and enjoy a more serene afternoon with a lake cruise on West Lake in Hangzhou. Wander the glorious gardens in Suzhou and point and coo over the impossibly cute Giant Pandas at Beijing Zoo. 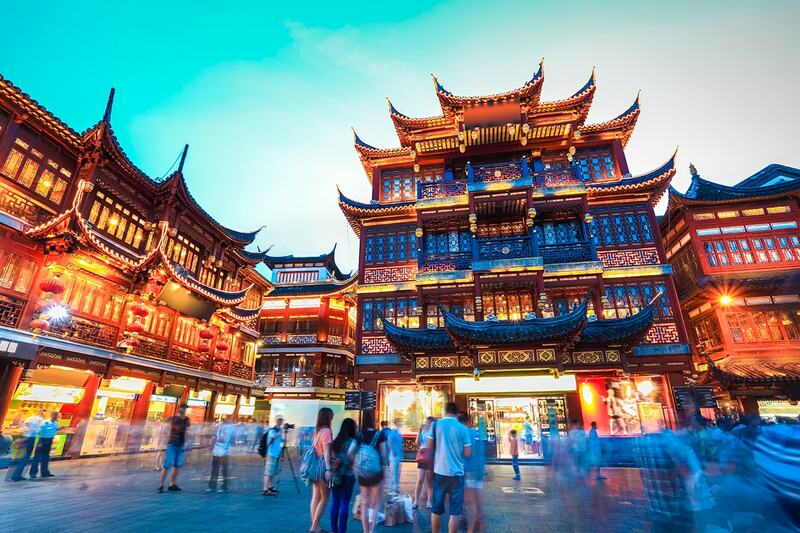 Explore the winding streets of some of China’s biggest cities and become hooked on the delicious flavours of authentic Chinese cuisine. Depart Australia and head for China to begin your holiday. You will be met by in the arrivals hall upon reaching Beijing Capital International Airport (PEK) and transferred to the hotel. The rest of the evening is at your leisure. The discovery of China begins at Tiananmen Square, the second-largest public square in the world. Located in the centre of Beijing, the square is named after the Tiananmen, or Gate of Heavenly Peace, that separates it from the Forbidden City in the north. Once you have seen the square, the group then heads into the Forbidden Palace. 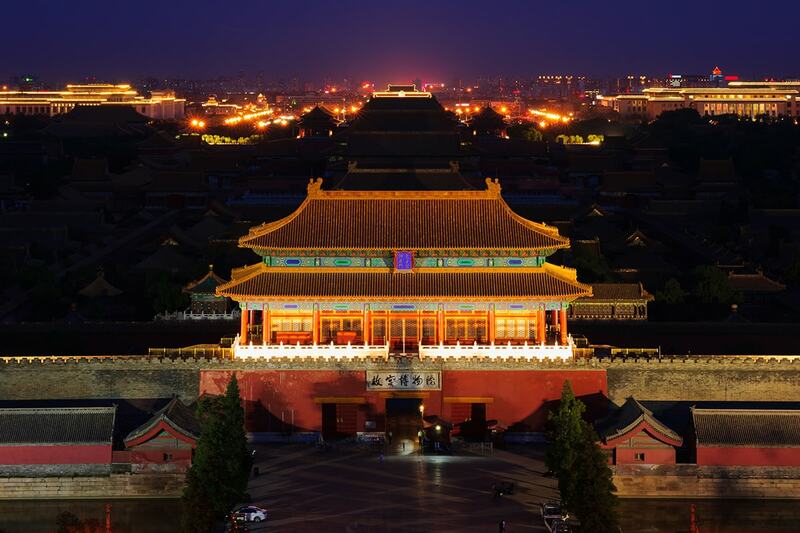 Named a UNESCO World Heritage site in 1987, the Forbidden Palace is the former Chinese Imperial Palace and was home to rulers covering the Ming to Qing dynasties for almost 500 years. The City covers more than 180 acres and is made up of 980 buildings. Tonight, head out to a local restaurant to feast on Peking Duck, a signature dish of the region. 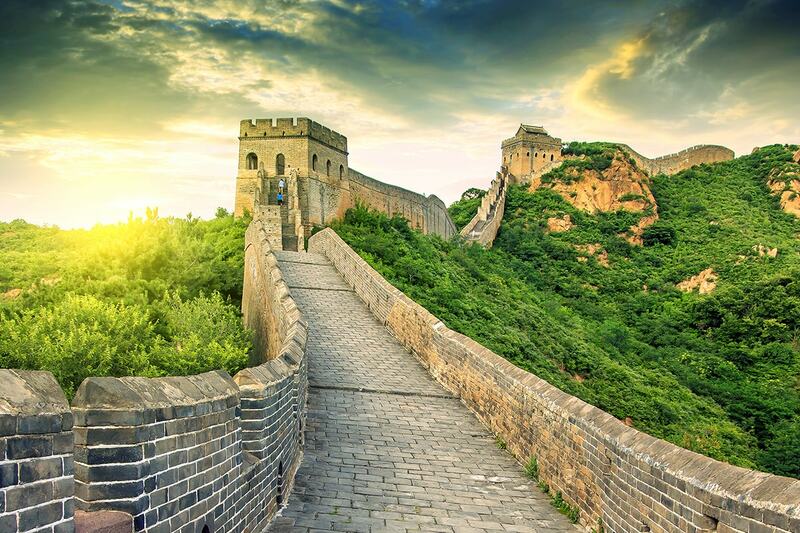 Venture to one of the symbols of China: the Great Wall of China. The group explores the section at Juyong Pass, which is located 60 kilometres from downtown Beijing. This is one of the most visited sections of the Great Wall and when here travellers have the chance to learn about the Wall’s construction. Of course, you will also be able to climb a portion of the Wall. Return to Beijing and stop at a large jade exhibition before lunch. From there, it is onto a cloisonné factory. Spend the evening watching a live performance, The Golden Mask Dynasty. This show incorporates dancing, acrobatics, magnificent costumes and a handful of surprises. It is performed daily at Beijing’s Happy Valley Amusement Park and has been seen by more than 1 million people. Additional cost applies. Enjoy a tour of the Summer Palace this morning. The palace houses the largest preserved ancient garden in China and it is a former summer resort of emperors. You then visit another of China’s most famous faces: the pandas at Beijing Zoo. In the afternoon, take the pressure off your feet and relax with a rejuvenating foot massage after learning about traditional Chinese medicine. Clamber into a rickshaw and be driven through some of the oldest streets in Beijing. Gain an insight into how life has been operating in some areas for centuries and see some incredible courtyard houses. Additional cost applies. Be thrilled at an evening kung fu performance, showcasing traditional forms of Chinese martial arts. Additional cost applies. A transfer takes you to the train station after breakfast. Here, board the bullet train bound for Wuxi. 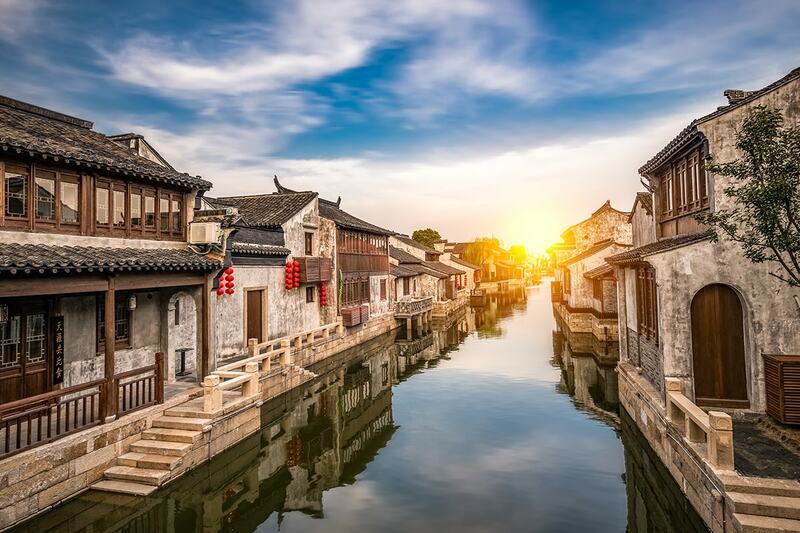 Known as the ‘Land of Fish and Rice’, Wuxi has an incredible history that spans more than three thousand years. 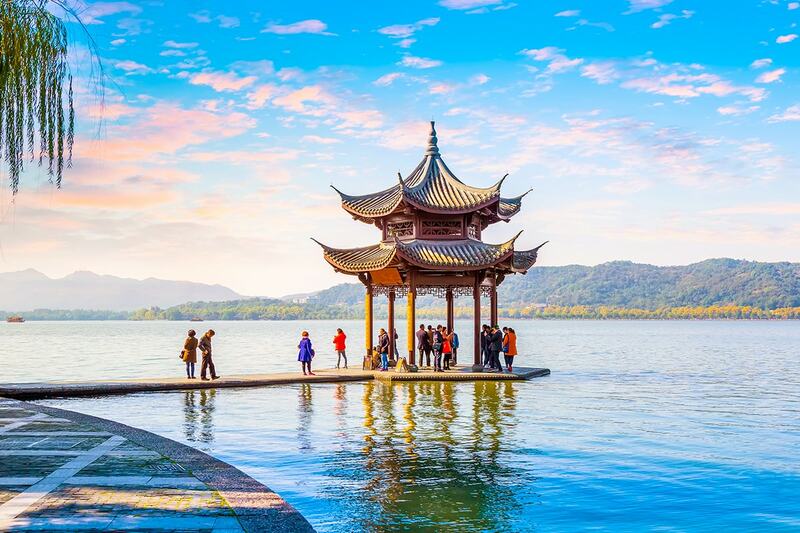 Explore Wuxi and enjoy the views of Lake Tai, the third-largest freshwater lake in China. 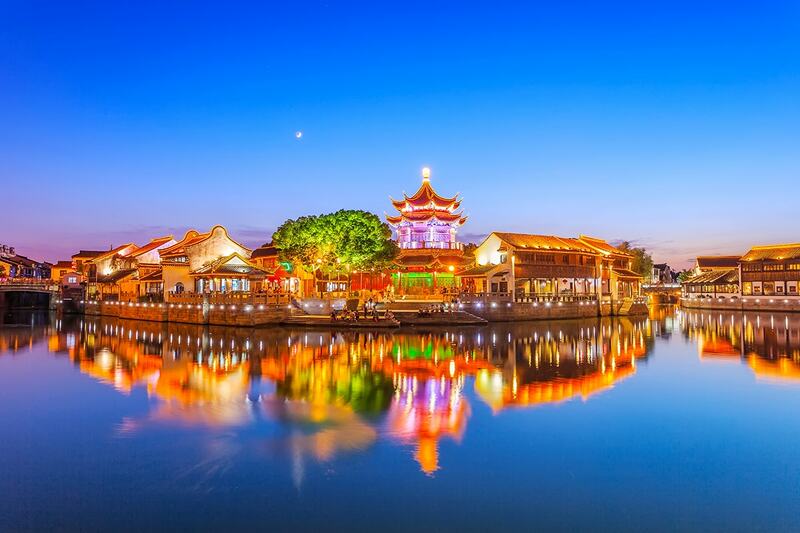 A boat tour offers a glimpse into the daily life of Wuxi residents, past and present. Visit the rice trading markets along the northern bank, and see the houses lining the bridges in the southern bank. You will also see a one-arched bridge from the Qing dynasty, which arcs over a section of canal. Additional cost applies. This morning’s visit is to a freshwater pearl exhibition. After lunch, travel by coach to Suzhou. This elegant city features canals, stone bridges and glorious gardens. A large section of the city is covered by water, lending itself to being nickname ‘Venice of the East’. A visit to the Lingering Garden is on the itinerary while here. Learn how silk is created from mulberry-munching worms on today’s trip to a working silk-spinning mill. Lunch is followed by the trip to Hangzhou, a city famously described by Marco Polo as being one of the most beautiful in the world. 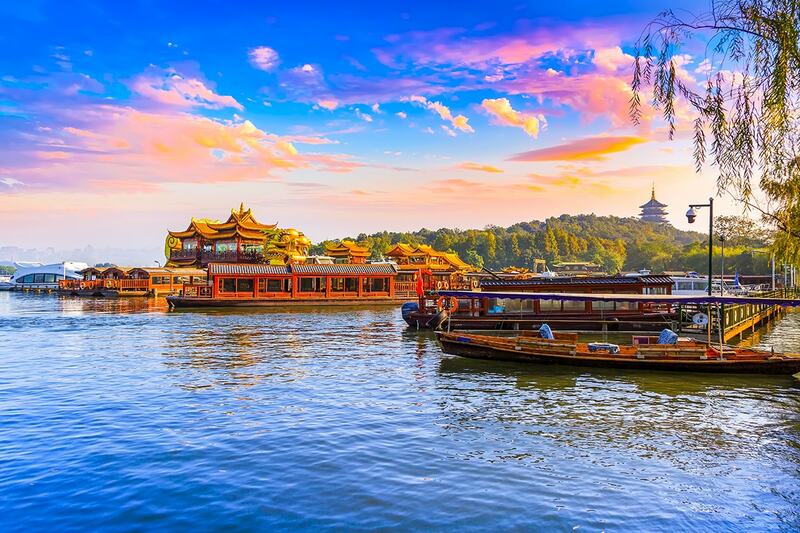 Take a boat ride on West Lake upon arrival and get ready to madly take photos of the serene surrounding landscape. 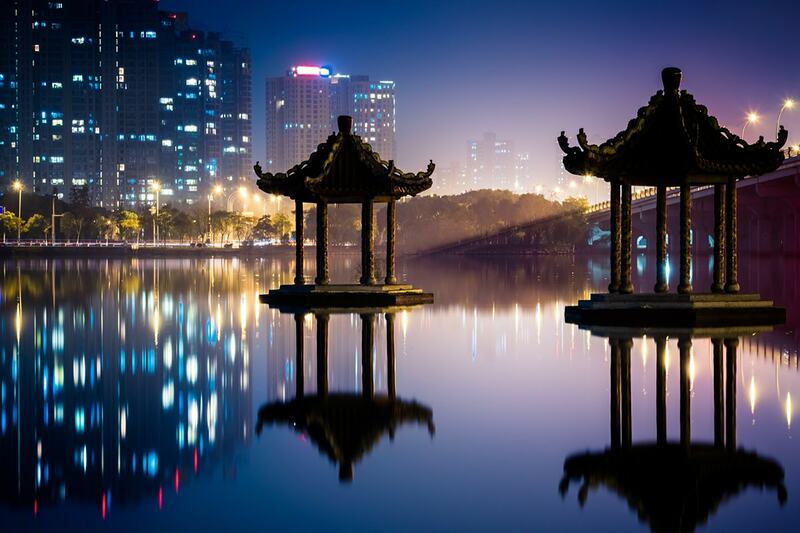 An evening spectacle of music, light and dance, entirely stage on West Lake. Admire the backdrop of water and mountains as you watch this show, created by noted director Zhang Yimou. The performance’s score was composed by Kitaro. Additional cost applies. There is an oriental tea-tasting at Dragon Well Tea Plantation en route to Shanghai. The tour then continues travelling to Shanghai by couch and, on arrival, takes a walk along the Bund, a waterfront area that hugs the banks of the Huangpu River. The area is lined with examples of colonial architecture and is one of the symbols of this vibrant city. The rest of the afternoon is at your leisure and an option to fill your time includes exploring the bustling shopping district, Nanjing Road. Watch this unique spectacle that combines Chinese history with mesmerising martial arts displays and incredible special effects. The show takes spectators through China’s evolution and showcases great live music and elaborate costumes. Additional cost applies. Visit the Jin Mao Observation Deck (88th floor) for an outstanding panorama of the Huangpu River and the Bund. Head to the old street in the City God Temple area. Cruise along the Huangpu River to appreciate the sights and skyline of Shanghai from a watery vantage point. Additional cost applies. Travellers are transferred to the airport to board the flight back to Australia. Our Travel partners booking form must be completed within 1 week including passport details to secure your requested travel date. A deposit of $650/$950 per person are due at the time of purchase in order to secure your date. $550 per person in addition to the twin share price. Payable direct upon confirming your booking. All optional tours are payable directly upon booking with Nexus Holidays. Train transportation: Passport details are also required to issue train tickets. If you wish to extend your trip, from $250 per person breakaway charge will apply (subject to availability and applicable fare difference). If you wish to alter or extend your trip, please purchase your voucher first and submit a request on your booking form. You will then be provided with the quotations for any alternations or extensions. Should you wish to proceed any additional charges will be collected. Please note, if you have selected a breakaway, airport transfers (if applicable) will not be provided.